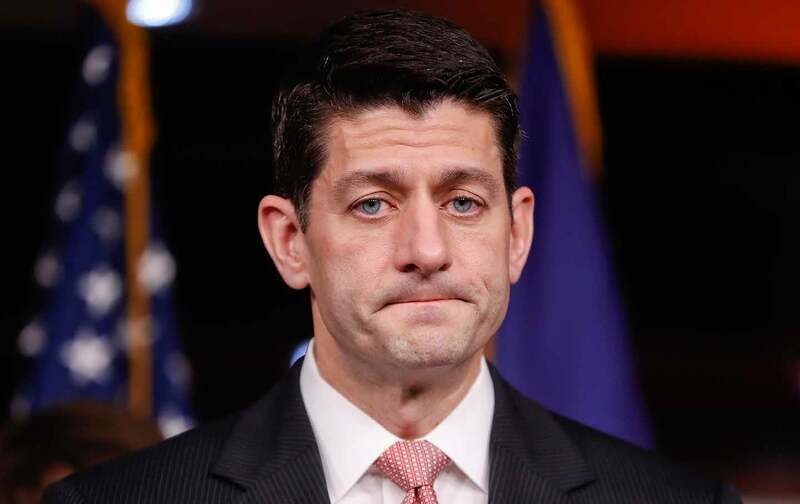 His name is Paul Ryan. House Intelligence Committee chair Devin Nunes stepped aside Thursday as the overseer of the committee’s investigation into Russian meddling with the 2016 election. He had to do so. But this striking move by the California Republican does not end the crisis created by the congressman and his chief enabler, House Speaker Paul Ryan. The committee’s inquiry has been tainted. And the need for an independent investigation remains. The crisis developed when Nunes abandoned his oversight duties and made himself a political pawn of the Trump administration. After his secret visit to the White House grounds, his closed-door meeting with the president, and clumsy attempts to make excuses for Trump’s unfounded claim that President Obama ordered politically motivated wiretapping of Trump Tower, Nunes had lost all credibility. But Nunes has never been anything more than the face of the crisis. At the center of the predicament is the man who empowered Nunes, who refused to hold Nunes to account even as things began to spin out of control, and who continues to defend Nunes: Paul Ryan. The speaker keeps choosing partisanship and loyalty to Trump over his duty to maintain checks and balances. When Nunes declared war on the system of checks and balances, and sought to make his committee an extension of the Trump White House, Ryan had an immediate duty to remove the errant congressman as chairman. He has to do so in order to make it clear that the House respects the separation of powers as outlined in the Constitution. Ryan did not show that respect for the Constitution. And he has yet to do so. Because of his leadership role, the Wisconsin Republican has a much higher duty than Nunes to maintain the separation of powers. Ryan swears the same oath that Nunes does to uphold the Constitution. But, as House speaker, he is more responsible than anyone in the whole of the government for upholding the system of checks and balances. Trump has no interest in the separation of powers, unless it serves him. Senate majority leader Mitch McConnell has, with his rubber-stamping of Trump’s cabinet picks, shown himself to be nothing more than a branch manager for the White House. Ryan’s duty has always been clear. Unfortunately, he has shown no interest in performing that duty. Speaker Ryan has not been smart, or responsible, with regard to the Nunes mess. Yet, even now, Ryan refuses to publicly recognize the crisis. In fact, he talks around it, while continuing to defend Nunes. In so doing, the speaker maintains a long-term pattern of choosing partisanship and loyalty to Donald Trump over his duty to maintain the separation of powers and to respect the system of checks and balances. Ryan consulted regularly with Nunes even as the scandal grew in scope and consequence. Ryan and the chairman met, in secret, about the White House visit. Ryan had to recognize that things had gone horribly awry, and that the credibility not just of the Intelligence Committee but of the House was threatened. He has a responsibility to ask questions, to get to the bottom of the issues that arose when Nunes went rogue. Ryan has not been smart. Or responsible. If he intends to respect his oath to “support and defend the Constitution of the United States against all enemies, foreign and domestic,” Ryan has a duty to remove Nunes as chairman of the Intelligence Committee and support an independent inquiry. If he fails in that duty, as it seems he will, than he fails the House and the Constitution.